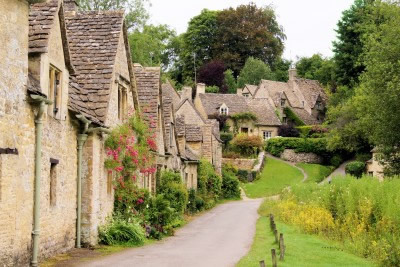 The Cotswolds are one of Britain's most popular cottage short breaks and tourist regions, and little wonder when you view the gentle limestone hillsides, wonderful countryside and picture-book villages that dot the glorious landscape. To be found in the south west and western England, the Cotswolds are a range of hills mainly to be found in the counties of Gloucestershire and Oxfordshire, although they do extend to include parts of Wiltshire, Warwickshire, Worcestershire and Somerset. The largest Area of Outstanding Natural Beauty in England and Wales, the Cotswolds are some 790 square miles and it's the second largest protected landscape in England (behind the Lake District National Park). This was once a thriving commercial region whose wealth was derived from wool and clothing merchants as far back as the 16th Century, leaving behind a wonderful legacy of buildings, but was bypassed by the Industrial Revolution and fell in to commercial decline. However, being left untouched and unspoilt by industry has made the Cotswolds what attracts visitors - some 38 million day visits each year - to the area. It's truly like stepping back in time from the honey coloured villages built from the Cotswold stone to the beautifully preserved architecture of churches and to the wonderfully eccentric English Morris Dancing! The best way to explore the Cotswolds is on foot with walkers heading for the Cotswold Way which is a National Trail that runs for over 100 miles along the top ridge taking in Chipping Campden, Cheltenham, Gloucester and Bath. The Trail is largely flat and comfortable walking so is enjoyable for an afternoon stroll or a longer hike. The winding lanes of the Cotswolds also are great for a cycling break and are an ideal way to explore the area travelling between the villages and coffee shops. Cleeve Hill. This is the highest point in Cotswolds and therefore provides some of the best views of Cheltenham to the west and Winchcombe to the north. 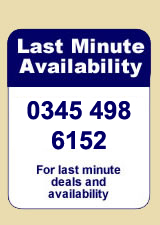 Bourton-on-the-Water lays claim to the most visited village in the Cotswolds. The largest of the Gothic churches in the Cotswolds is the St John Baptist Church in Cirencester although St John's church at Elkstone is a beautiful historic Norman church that is well worth a visit. The village of Burford is simply stunning. The High Street slopes down to the bridge across the River Windrush and is little changed since the times of the wool trade. You can find beautiful stone cottages, Cotswold Town houses, almshouses and the wonderful Church of St John the Baptist. The biggest real town of the Cotswolds, Cirencester is an elegant, affluent and charming town. Check out the Market Square with Victorian and 18th century architecture and one of England's largest parish churches, Church of St John the Baptist. Stow on the Wold attracts plenty of visitors to its old Marketplace with its narrow walled alleyways that were actually designed to funnel sheep to the market. Chipping Campden is where to head to see what a thriving Cotswold wool town would have looked like in medieval times. Now a pretty, unspoilt village, the High Street has some lovely stone cottages, historic homes and ancient inns. A wonderfully pretty village, Broadway has all the quintessentially English honey colour cottages and so much more. Other villages worth visiting are Moreton-in-Marsh, Bibury (featured above), Chipping Norton and Winchcombe. This list could go on and on, which is why the Cotswolds are so popular for a weekend, short break or holiday throughout the year. There are simply hundreds of villages and towns to explore, mile upon mile of hills and countryside to walk or cycle and some super self catering holiday accommodation available. So if you are planning a Cotswolds break take a look at some of the cottages and apartments we have selected which are ideal for a short break or holiday. We have provided just a flavour of what a Cotswold holiday or short break can offer but I am sure we have missed some of your favourites. So if we have, why not let us know via our Facebook page or our Blog, we would love to hear from you.